How can I export all contacts for all of my clients? 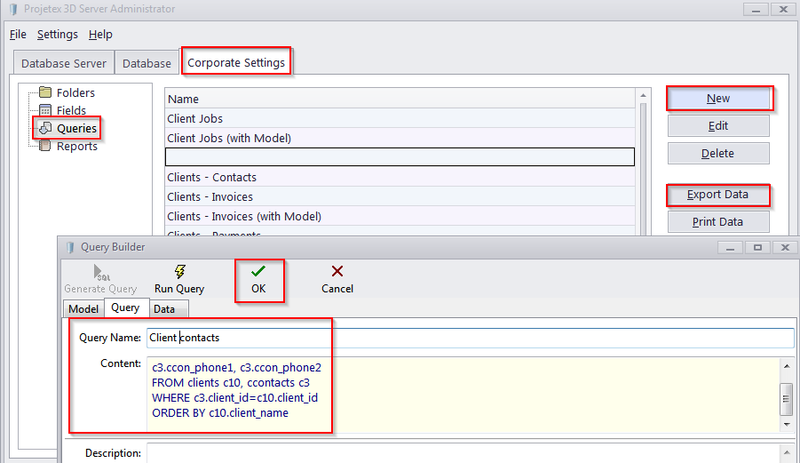 In Projetex I can only export the contacts of a single client. 2. Go to Corporate Settings > Queries. 4. Specify a name for this query. 5. Paste the code below into the Content field. 7. Now your query is available to you. 8. Select this query from the list and click Export Data. 9. Select a file format and a location for your export file. what about the code of all freelancers ?